Scrumptious Strawberry Cupcakes from Sprinkles! 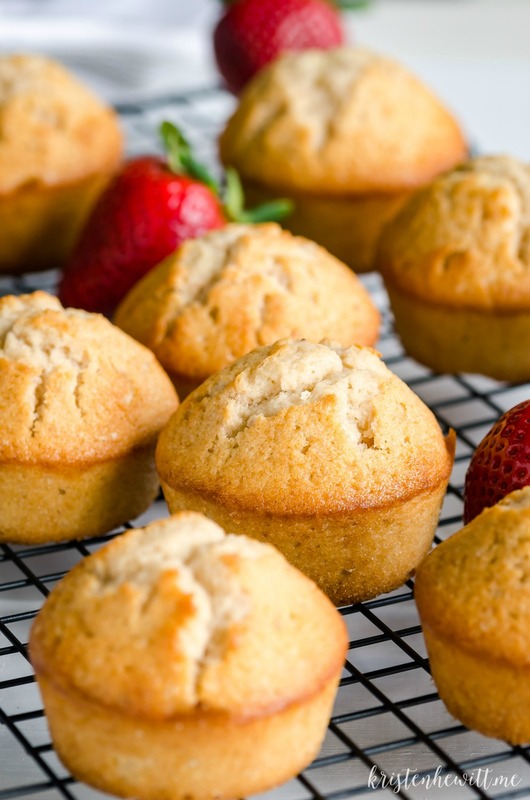 Looking for a scrumptious cupcake recipe using decadent strawberries? This is the only one you need! 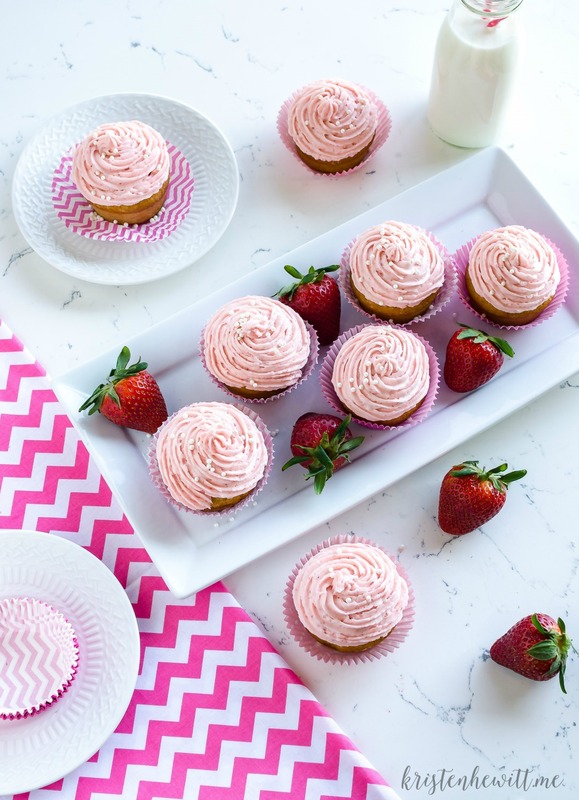 Modeled after the world-famous Sprinkles Cupcakes, this copycat strawberry cupcakes recipe will blow you away. I was lucky enough to try a real Sprinkles Strawberry Cupcake in NYC, and it’s my favorite cupcake on the planet. But this recipe is a serious contender. It’s made only with fresh ingredients and tastes so pure, natural, and divine. The trick I’ve learned is to bring all of your cold ingredients like butter, milk, and eggs to room temperature to make the cake nice and fluffy! Also, use high-quality vanilla, it makes all the difference. If you’re tired of the same old cupcakes, I highly recommend giving this recipe from Sprinkles a try. It’s a little more work than usual, but so worth it! Included is the recipe below, with some of my own tweaks! Preheat oven 350 degrees. Line muffin tins with papers. Puree strawberries, you need 1/3 cup for cupcakes. Save extra for frosting. Mix together sifted flour, baking powder and salt, set aside. In another bowl combine vanilla, milk and strawberry puree. Add sugar until fluffy, then add eggs mixing on medium speed. Add half the flour mixture and blend. Then half of the milk mixture, then alternate until blended. Divide batter evenly, and bake for 22-25 minutes. Add 3 tbsp strawberry puree, but I start with 2 tbsp and then add according to consistency. You want it to be creamy, not runny! 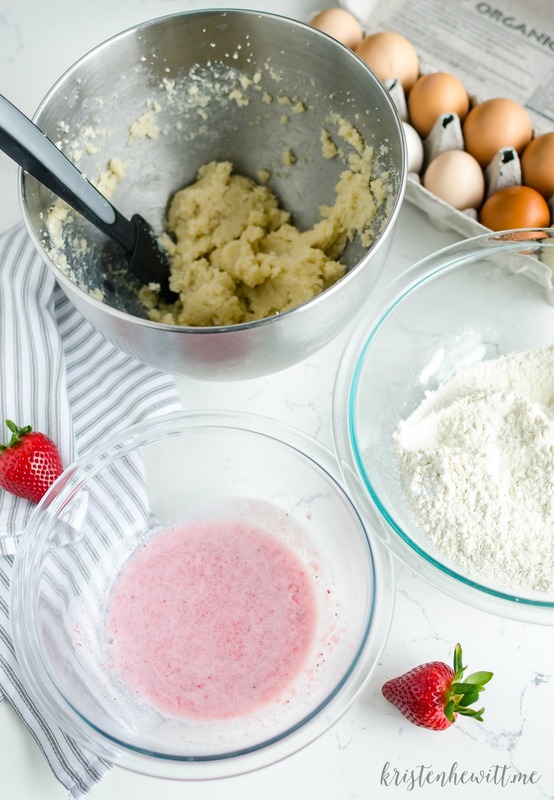 Don’t forget to sift your flour and use fresh strawberries, they make all the difference! It tastes so clean, natural and delicious! Please pin this recipe for later, you won’t be disappointed! Did you like this post? 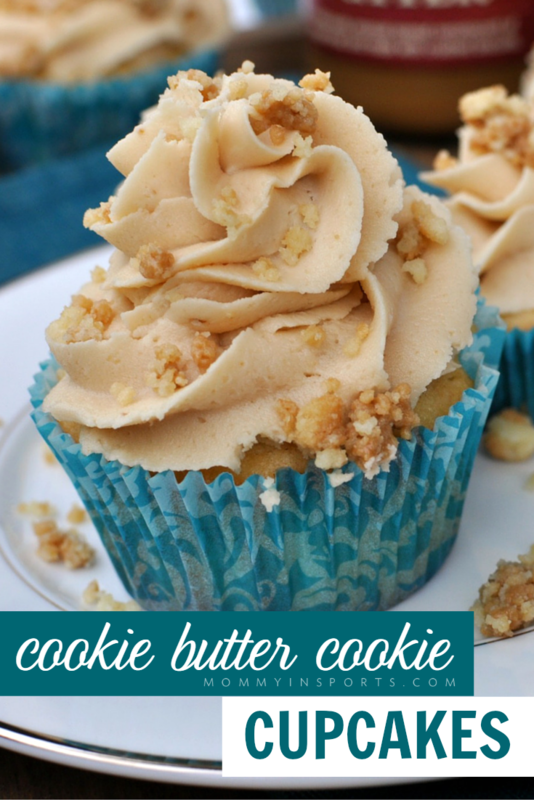 Then try these Cookie Butter Cookie Cupcakes. OMG! 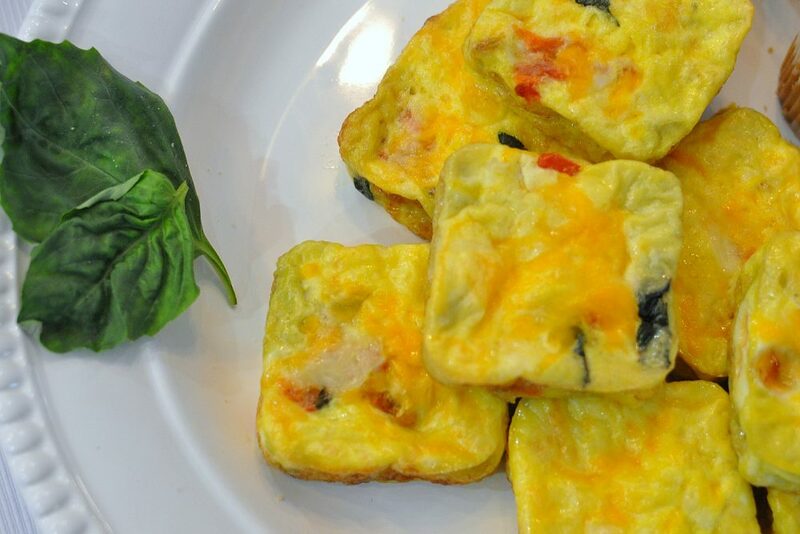 And don’t forget to LIKE US ON FACEBOOK for more amazing recipe ideas! I can’t wait to try it! This recipe seems so delicious. No wonder that your daughter was so impatient. These look so good! Yum! and great photos too! Oh What lens is it? I’m so excited for you! It’s a 35 mm on a Nikon D5000. Older camera, looking at getting photo lessons soon! I need more light! These look AMAZING!!! I would have eaten them too. But then, I eat everything pretty and tasty that comes my way. lol! Great photos, too. Pinned these. Thank you! I do too unfortunately…but this frosting is DIVINE! G’day! How elegant do these look? 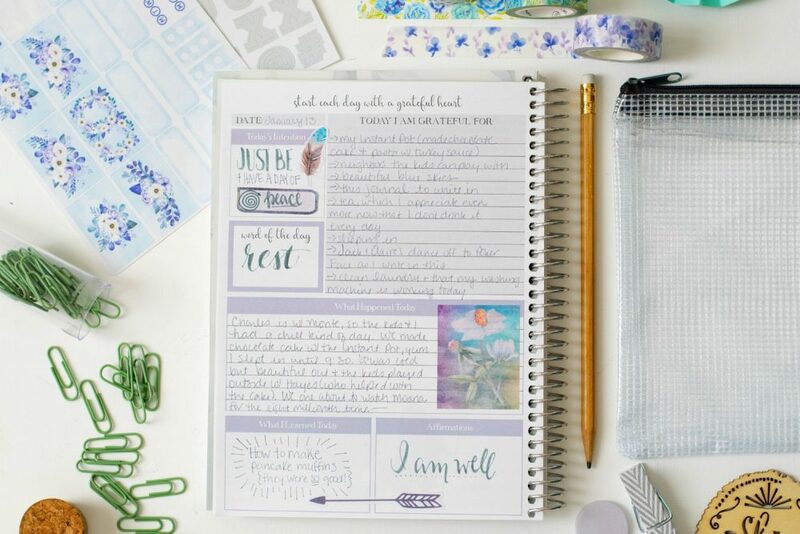 Love this and hope you will share with my #SmallVictoriesSunday #linky open now. Love the recipe! It sounds so much like one that a friend of mine recently shared w/ me. Thanks for sharing. Hello! These cupcakes look delicious!!!! Would also be fun for Mother’s Day (as long as Mom doesn’t have to bake them)! 🙂 Thanks so much for sharing on #SmallVictoriesSunday! 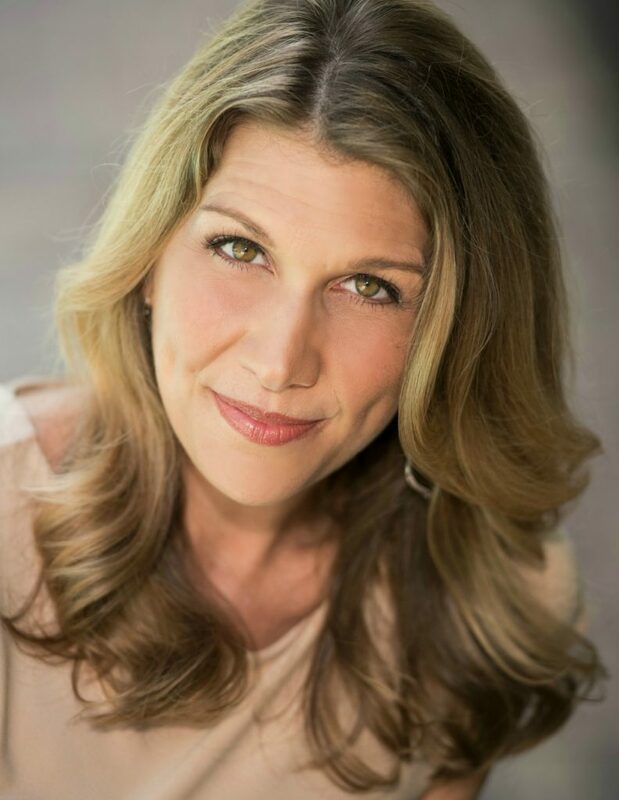 I am new to your site- it is lovely! Thanks Amy! 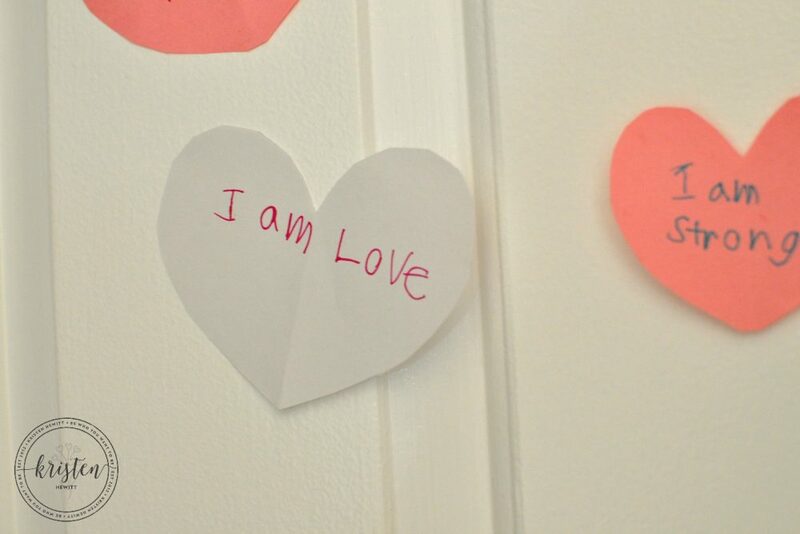 And yes it would…but I can’t see my husband making these! These look amazing! I bet they could be adapted to other berries too? probably April…I hadn’t thought about it. Blueberry would probably be yummy too! They look so pretty and so delicious too! Yum! Your cupcakes look delicious. Stopping by from SITS Sharefest and these look delicious!!! These cupcakes look lovely, I can imagine they taste so fresh and summery. Thanks for linking up to Sweet and Savoury Sunday, stop by and link up again. Have a great day!! These look so delicious and your photos are FANTASTIC! I’m nearly 37 weeks pregnant, so you can imagine what these food shots are doing for me! Mouth. Watering. These look delicious! I have been searching for a good strawberry cake recipe using real strawberries. Need to give this a try. These cupcakes look so yummy! I’ll have to try this recipe over the weekend. Thanks! I’m still on auto! No clue what that means but I’ll look it up! Thank you again!! 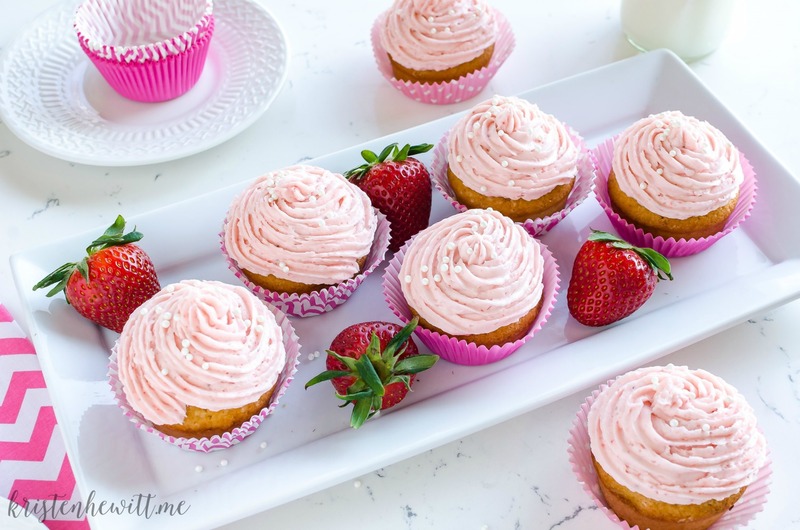 Have you ever tried the frosting with freeze dried strawberries instead? no but I’m sure the flavor would be intense!